One of the worst things you can do is ignore vocal fatigue. 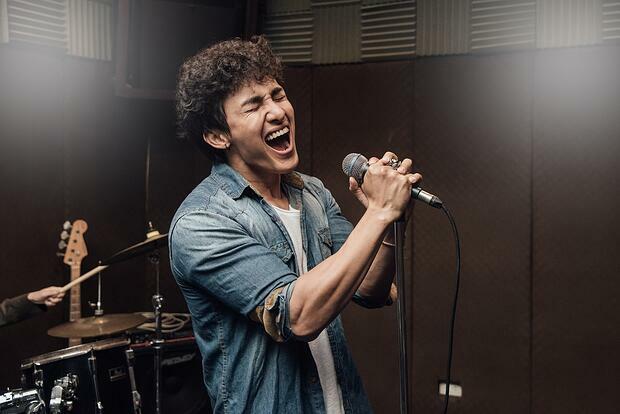 If you find you have any of these symptoms, or any other symptoms that could disrupt the quality of your vocal recording session, you’ll want to make sure you get better as quickly as possible. Here are a few ways to do just that. The best way to treat vocal fatigue, especially if you may have some type of infection, is resting. Make sure you’re keeping warm and drinking and eating properly. Avoid really hot or cold conditions, and minimize talking, whispering, shouting, and laughing. Also, make sure you’re getting enough sleep during this rest time (as you should anyway). This averages around seven hours per night. Try to use your vocal chords as little as possible for at least 24 hours. After that time, the difference in your vocal fatigue will be incredibly noticeable, although you may need two or three days for a full recovery. Another one of the most important considerations is staying hydrated at all times. This is vital when you’re singing, and even more important if you’re suffering from vocal fatigue. Drink lots of water and try to avoid sugary and fizzy drinks, along with extremely hot or cold drinks. Stick with water for the best results. After you're finished resting, don’t jump straight back into bellowing vocal solos. Instead, start small and work yourself back into your normal self. Think of it this way: If you broke your leg, you wouldn’t go straight into running a marathon; you would start small and work up. Your vocal chords are a muscle, just like every other muscle in your body. Start with short exercises with a low volume that doesn’t take much effort. Don’t push yourself too hard. After a day or two of these, start building up gently. By the end of the week, you could be back to normal! After you’ve completed everything listed above, your vocals should be pretty much back to normal. In some cases, however, you may find very slight improvements or none whatsoever. If this is the case, you’re going to need to see a doctor. This is because you’ll probably have something more serious than just vocal fatigue, like an illness that’s causing the pain. Of course, this will vary from person to person, so make sure that, when in doubt, consult your doctor. By looking after yourself on a daily and weekly basis, you’ll be able to minimize the risk of vocal fatigue and perform your best during upcoming recording sessions. Gavin Whitner is a passionate musician, and the primary blogger at MusicOomph, where he writes about musical instruments, related gear like headphones, and other accessories. He’s also written for publications like Music Connection, Making Music Magazine, etc.